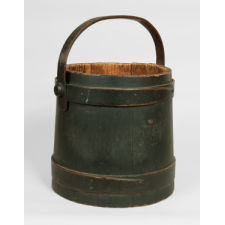 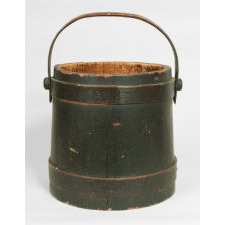 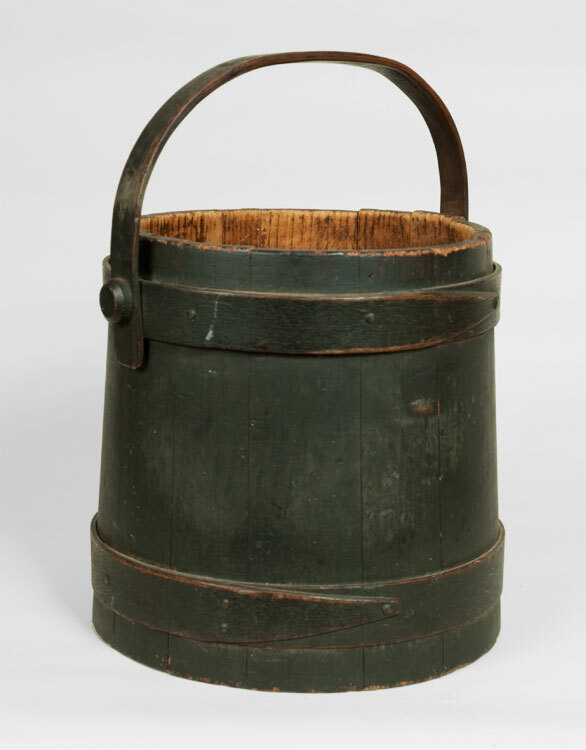 Fine wooden Bucket in the original dark green paint - pristine condition with no repairs. 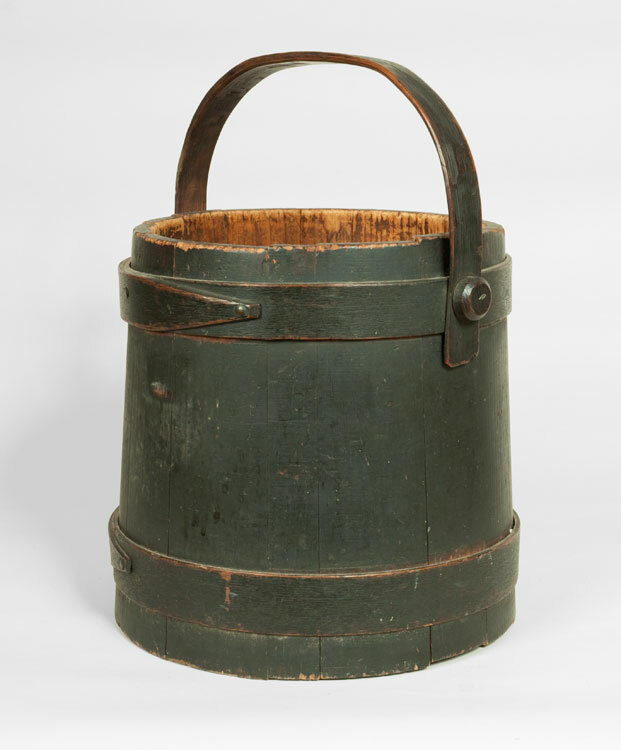 This bucket never had a top as evidenced by the paint wear. 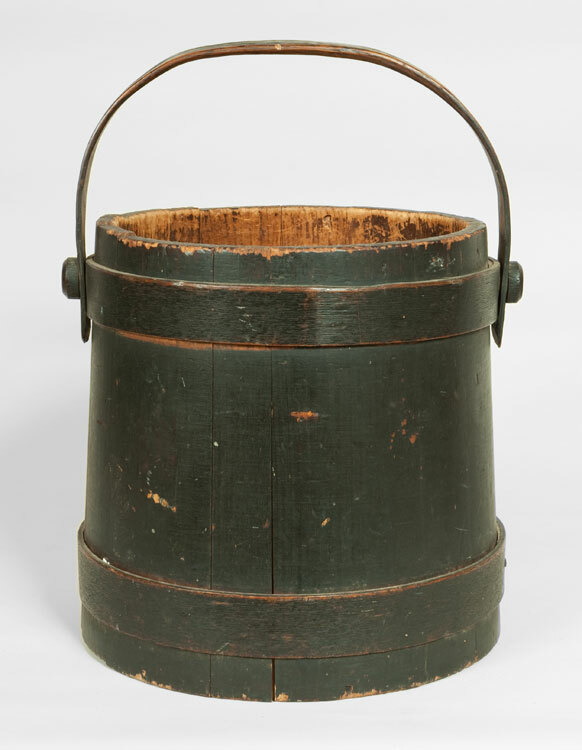 Measurements Ht.13 5/8 Including Handle. 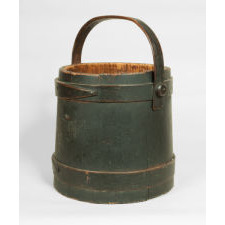 8 5/8 diameter at top.